The people at Easy finance are fantastic; I really appreciated the very professional personal service that I received from beginning to end. I wanted a home loan without excessive charges. So easy finance found an interest rate that suited me. I dealt with were professional, polite and courteous. I'm impressed with the ease, competitive and timely information provided by easyfinance.in, the process was quick and painless. Great job, I'll use the service again. I could not have asked for a more efficient and worry free experience. Depending on what kind of investor you are, we bring you fundamental or basic research and technical research. As an investor in easy finance, you get access to these research reports exclusively. You get access to the following reports. These calls are provided according to changing market situations. Be it news, momentum or technical perspectives, be updated with what are experts advise you to do during the market hours. A technical view summarizing the previous day movement and what is expected to happen on the current day. This report will also provide you with technical calls for trading along with various supports and resistances of chosen stocks. A report providing you information with fundamental researched stocks everyday. You also have information on all daily economic, political and various other factors which affect the fundamentals of a company. This Weekly Technical Analysis brings you a complete round up of the week gone by - recommendations, major supports and resistances, what to look forward to and more. Deciding which sector to invest in? Our Super Sector report can guide you. Know details including the effect of government policies and regulations and estimates about how the sector is expected to behave. Ever wanted to pick a needle from a stack of Hay. That's exactly what a stock Idea is. Our research desk picks out potential stocks which can provide immense scope for returns on investments. This is a report which is completely based on fundamentals. You can view the put call ratio, the most active derivative contracts and the top change in open interest. You can also get FII Statistics, the top gainers and losers and the cost of carrying out various derivative contracts. Supported by valid, fact-based and reliable research inputs and published results, our research reports educate you about industry trends, sector news, which company scrips to buy, sell or hold etc. These reports are simple, comprehensive and help you make informed investment decisions on your own, while executing your choices efficiently. If you are unsure about where to invest, Fundamental Research gives you a clear analytical picture: Fundamental research takes you through the key factors/parameters, which explore the future prospects of the economy/sectors/companies. Fundamental Research is backed by data, mathematical & statistical modeling and concluded with expert opinions. Analyses on the current Indian market, latest government policies and their effect on the economy. It gives you the bird's eye view on the country's fiscal health and its impact, factors that have a bearing on the stock market. Details on how an industry is faring, whether current policies favor the industry, and more - so that you can pick the industry that you want to invest in. Full details of a company - from its history and its organizational structure to its share prices, its future prospects, and more -enabling you to take a fix. If you are a professional trader, our Research Centre brings you a whole host of research facilities, so that you can take complete control of your account. Get Fundamental Research reports including macro-economic research, followed by sector research and research on companies - so you know precisely where to put your money in. Our Technical Research brings you comprehensive derivatives trading reports, intra-day technical calls, details on every high that the Sensex registers, and much more. And if you want to do your own research, this can be useful raw material as well. 1. Govt inst like RBI / SIDBI / Nabard / Rural electrification issues bonds at fixed rates of interest. 2. These are fixed commitment on govt and hence called bonds. 5. Many aaa rated companies like HDFC / ICICI / SBI ETC. Issue fixed interest company fixed deposits. 7. Many companies offer to HNI / institution prefrential debentures at fixed rate of interest for specified periods are considered high in security. Mutual fund investment are investment in stocks and equity market through asset management companies who specializes in equity market investment. Asset management companies allot unit to investors by floating various theme called fund and manage the fund according to the theme under SEBI GUIDE LINE and charge investors for managing funds. 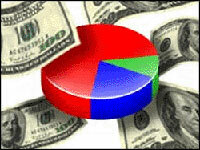 Investors gets benefit of research and expertise of company for nominal charges ease of investing. 4. Sectorial Fund : Fund specified to particular sector having exposure of more than 70 % to particular sector like pharma ,infrastructure etc. These are example may or may not match with classification made by others. Life insurance is a guarantee that your family will receive financial support, even in your absence. Put simply, life insurance provides your family with a sum of money should something happen to you. It thus permanently protects your family from financial crises. In addition to serving as a protective cover, life insurance acts as a flexible money-saving scheme, which empowers you to accumulate wealth-to buy a new car, get your children married and even retire comfortably. Life insurance also triples up as an ideal tax-saving scheme. To know more, read the Key Benefits of Life Insurance. Why is retire planning important ? Retire from work. Not from life. A retirement plan is an assurance that you will continue to earn a satisfying income and enjoy a comfortable lifestyle, even when you are no longer working. To understand why an increasing number of individuals have already started planning for their retirement, and why you should too, read on. An increasing number of young Indian professionals are moving away from the traditional joint family structure. Since support no longer comes easily, parents have realized the need to provide for themselves during their retirement years. Skyrocketing costs throw even a well-salaried person off balance. With rates rising everyday, you can imagine how high they will be when you are ready to retire. A retirement plan provides you with a steady income every month, to arm you in the face of rising costs.To understand how inflation can impact your monthly expenses, use our special tool, the Inflation Index calculator. Only 4% of India working population- mostly government employees – are covered by pensions. The remaining 96% comprises self-employed and salaried professionals who do not have a formal, mandated provision for pensions. A health cover insures you against several illnesses and guarantees you stay financially secure should you ever require treatment. 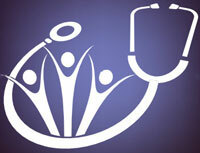 The cover ensuresyou are taken care of by compassionate and competent doctors at the best hospitals. It thus safeguards your peace of mind, eliminates all worries about treatment expenses, and allows you to focus your energy on more important things, like healing. Lifestyles have changed: Indians today suffer from high levels of stress. Long hours at work, little exercise, disregard for a healthy balanced diet and a consequent dependence on junk food have weakened our immune systems and put us at an increased risk of contracting illnesses. Rare non-communicable diseases now common: Obesity, high blood pressure, strokes, and heart attacks, which were earlier considered rare, now affect an increasing number of urban Indians-almost every day. 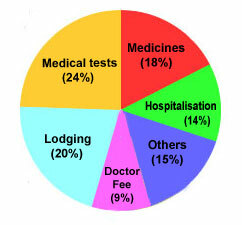 Reason 3 : Medical care is unbelievably expensive : Medical breakthroughs have resulted in cures for dreaded diseases. These cures, however, are available only to a select few. High operating expenses—therapy for breast cancer costs as much as Rs. 2 lakhs for 3 days—have restricted treatment to the richest. In fact, even among the affluent groups, 20% need to sell their valuable assets so they can accumulate the required amount for their medication. Incomplete financial planning : Most of us have insured our home, vehicle, child’s education, and even our retirement years. Ironically however, we have not insured our health. We ignore the fact that illnesses strike without warning—and seriously impact our finances and eat into our savings in the absence of a good health cover. INSURANCE COMPANY IS BOND TO PAY. RS 5,00,000 lac plus rev bonus to nominee of life Insured on death anytime within 20 years of policy, provided Life insured is paying regular premium ofRS.25,000 every year for 20 years. LIFE INSURANCE COMPANY PROVIDE VARIOUS PLANS TO SUIT INDIVIDUAL NEED OF INSURANCE AND SAVING LIKE. This calculator will compute a loan's monthly payment amount based on the principal amount borrowed, the length of the loan and the annual interest rate. Then, once you have computed the monthly payment, click on the "Create Amortization Schedule" button to create a report you can print out. Note that each time you change one of the loan's variables you will need to recalculate the monthly payment before creating the Amortization Schedule. Also note that you may need to press CTRL-P to print the report once it appears in the pop-up window. 1. What is the original loan balance? 3. What is the term of the loan in months? Longer term loans (360 months) may take a few minutes for the report to be generated. Remember to press Ctrl-P to print the report, or right click and click print. This calculator helps you convert a unit of measurement into any other unit. Just enter any one value in the box given below and click on the 'Calculate' button to get the equivalent values in all the other measurement units! Note: Click Clear before Each use.